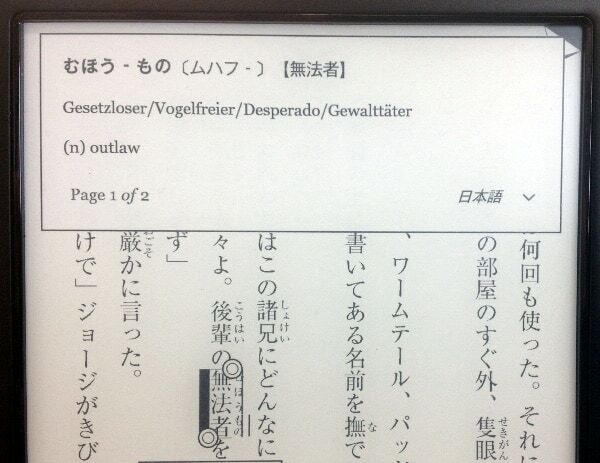 The following script takes a Japanese dictionary as provided by Kobo (dicthtml-ja.zip for firmwares before 3.17.0, dicthtml-jaxxdjs.zip since 3.17.0) and enriches the dictionary with definitions from some other dictionary, like English or German translations. In effect you get a Japanese-English or Japanese-German dictionary (which is not provided by Kobo) plus the Japanese explanations. Unix/Linux computer I haven’t tried anything of this on a Windows machine, but I am happy about feedback. I am working on a version that does not depend on external programs, and thus might be much more portable. Dictionaries A copy of the Edict dictionary – see below for details on dictionaries. Perl modules Various Perl modules that should be standard on most installations: Getopt::Long, File::Temp, File::Basename, and Cwd. At the moment the program can use dictionaries of the following two formats: Edict2 and Japanese3. The Edict2 format was developed by the The JMdict/Edict Project. They provide a very complete dictionary for English translations. Many other dictionaries are based on the English edict. Dictionaries for other languages, e.g. German, are also available in the Edict2 format. To use the dict with the current program, one need to download the edict2.gz file and unpack it with gunzip edict2.gz. If you put it into the same directory as the Perl script, nothing else needs to be done, otherwise one can use the command line option --dict PATH-TO-EDICT to specify the location of the edict2 file. The Wadoku project has a very extensive Japanese-German dictionary, and they provide their dictionary in Edict2 format here. The Japanese3 is a dictionary application for iOS which provides another very complete Japanese-English dictionary. My feeling is that it is 90% and more based on Edict, so adding it will not buy you much, but still a bit (see below for how much!). If you save the generated file japanese3-data into the same directory as the Perl script, nothing else needs to be done, otherwise one can use the command line option --japanese3 PATH-TO-J3-DATA to specify the location of the Japanese3 data file. You see, that there are actually more translations in the German than in the English dictionary. -i, --input location of the original Kobo GloHD dict, defaults to dicthtml-jaxxdjs.zip. This can of course point to one of the old dictionaries named dicthtml-ja.zip to enhance those. --dict=[TYPE:]PATH specifies dictionaries and their type to be used, can be given multiple times, possible values for TYPE are edict2 and japanese3. The order determines the priority of the dictionary. plus some debugging and dev options, see the output of --help or read the code. Note that the unpacked directory contains lots of .gif and .html files that are actually gzip-compressed files, but lacking the .gz extension. There is only one caveat: Syncing with Kobo will re-download the original dictionary and overwrite the enhanced one. There is at least one solution here, which I am employing, see this post on MobileRead. Practically all non-compound words have translations, both in Kanji and Hiragana writing. Words that are variants or compounds often don’t have. In my daily routine reading several Japanese book, I normally find translations for all the words I look up. 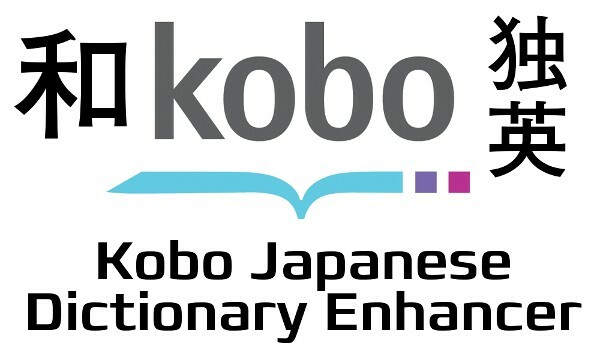 I am using the github repository kobo-ja-dict-enhance to develop the program. Please report bugs, and feature requests there. I am planning to get rid of the 7z dependency and use Archive::Zip for all the unpacking and packing. This would also allow to do everything in memory and thus make it faster. There is a branch on github with ongoing work on this matter. 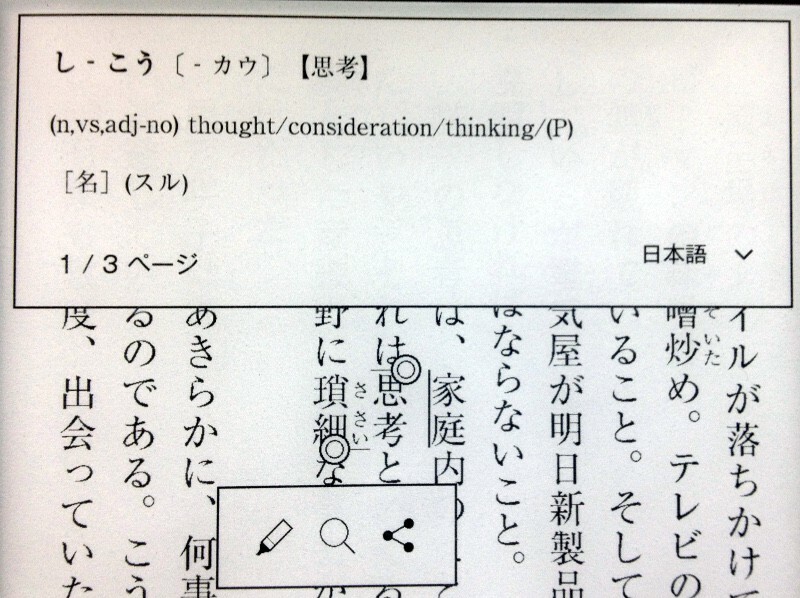 Even if Kobo does not provide us with a decent Japanese-English dictionary, adding at least a huge amount of translations to the current dictionary is now easily possible. For serious students of Japanese who are reading – or starting to read – Japanese eBooks, this will be of great help. Enjoy, and don’t forget to give feedback, suggestions, and improvements either here or better via the Github page.